If you are in the market for a car that will help you run errands or get you to and fro work, salvage car auctions can help you land a gem that runs perfectly and meets your needs. The most important consideration is to determine the repairs that are needed and how much that will cost you. Some of the cars have some of the necessary repairs already done, while others will need you to start from scratch. 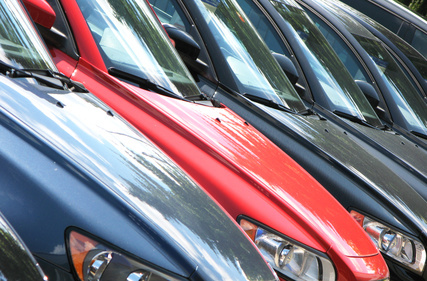 Here are some of the facts about salvage cars that you may need to know. As with any used or salvage car, problems can sometimes surface with your new ride. However, if you have done your groundwork when choosing the best option among among available salvage cars for sale, the savings you get from the discounted price will naturally offset any problems that come to the fore. If you wish to repair your car and are on the market for parts, salvage cars for sale are also a great choice. They give you access to OEM parts for a diverse selection of makes and models at giveaway prices. You can easily bring down the cost of repairs and maintenance significantly if you consider salvage car auctions as an ideal hunting ground for parts. Salvage cars for sale are not made the same. Contrary to misconceptions in some quarters, you can actually get a car that runs perfectly and requires little to no major repairs. There are various reasons why cars end up with the salvage title and some of them really have little to do with damage. The golden rule to successful bidding at salvage car auctions is knowing the maximum value of any car under your consideration. This helps you avoid overbidding and also stay within your budget. Overbidding may help you win the car but may rob you off the money you need for repairs and getting the registration paperwork done. AutoBidMaster is a reputable provider of salvage cars for sale at competitive prices. You can browse through available options and bid online to land your desired vehicle. Bidding is easy as all you have to do is Register and start right away! Browse through available options at our repairable cars sales for your kind of ride and start bidding to win. All the pertinent information about the cars is available and you can get answers to all your questions by calling us at +1 (503) 298 4300. You can also Write to Us and we will respond as soon as possible.